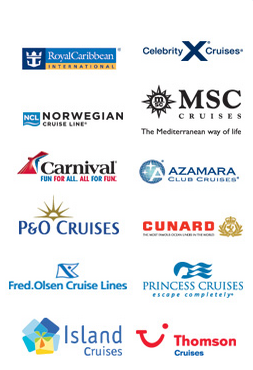 The CruiseOffers.co.uk VIP Club is now open again for new members. Join now (free! ), as spaces are strictly limited. N.B. Many of our taster cruise & mini cruise deals are never released to the general public. It’s understandable to be concerned. After all once you’re on board and heading across the ocean it’s impossible to change your mind and go home. You could book onto a fourteen night cruise thinking it will be a dream come true, only to find it is a floating nightmare you cannot escape from. Many people love cruising and can think of nothing better than escaping on holiday like this for as long as possible. But they don’t suit everyone. This is why taster cruises have been created. They provide a way to sample cruising for the first time, often providing just one or two nights on board a cruise liner so you can see what to expect. Why book a taster cruise? A taster cruise is the perfect way to discover what cruising is all about, before you take a longer trip. As such it can save you a lot of money if it turns out that cruising isn’t for you. Even if you have been on a cruise before there are still good reasons to book short cruises such as these. The best example would be if you were used to one particular cruise line and you wanted to give another one a try. For example you might be used to going with Royal Caribbean, but you’ve seen a cruise arranged by Virgin that looks promising. A taster cruise is the ideal way to find out what you can expect. You could also use this type of cruise to try out a particular type of cabin. Inside cabins are cheaper than outside ones, but you may be unsure as to whether you’d like a cabin without a view. So why not try one on a short cruise to see whether it would be ideal? Do you embark and disembark in the same place? It all depends on the cruise you pick. Some are known as repositional cruises. These entail leaving from one destination and arriving in another. For example you might get on a cruise liner in Newcastle and go to Southampton and end your short taster cruise there. Other cruises may leave and return to the same place, so consider which method is going to appeal to you most. If you select a taster cruise that starts at one port and ends in another, you must consider how you will return to your starting point, particularly if you left your car there. As you can see, taster cruises are really useful for a number of reasons. While they have been created as a temptation for newcomers to consider, they are the perfect way to explore other cruise lines and ships too. So why not try one and see what you think? Join the CruiseOffers.co.uk VIP club and get alerts (via email) about exclusive deals on taster and mini cruise deals. Joining is fast, free and simple. We will never share your details with anyone else and you can unsubscribe with one click at any time. Cruises, Fly Cruises and Cruise & Stay Holiday Deals from The UK's leading Cruise Lines. Copyright © 2019 CruiseOffers.co.uk. All Rights Reserved.